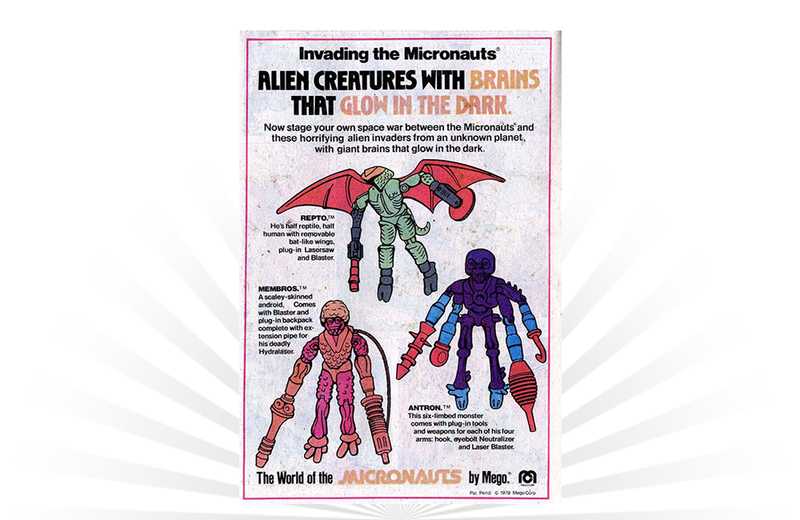 A 1979 ad for Micronauts from Mego Corporation. The toy line was produced by Mego between 1976 and 1981 and included a series of interchangeable space toys (figures, vehicles, and playsets.) After the demise of Mego, several companies (Palisades Toys, State of the Art Toys, and Hasbro) made various announcements and attempts to revive the line. Released in 1975 by Kenner, Hugo was a hand puppet whose appearance could be altered using a variety of accessories.